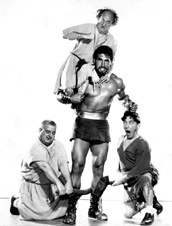 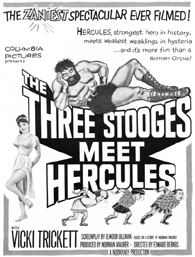 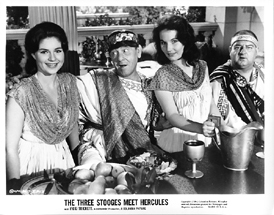 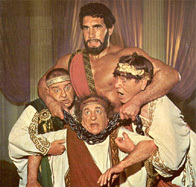 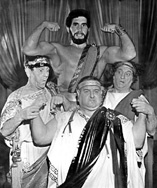 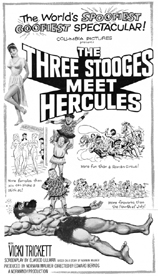 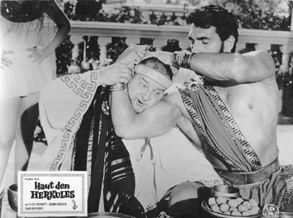 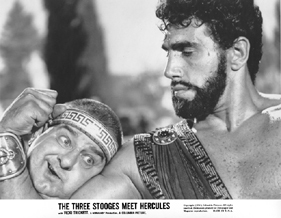 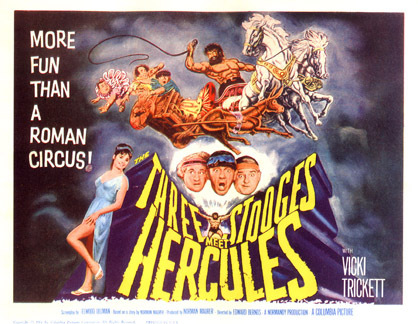 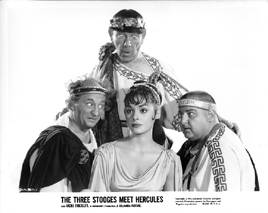 The Three Stooges Meet Hercules is such a well known and popular feature, that it deserves its own webpages. 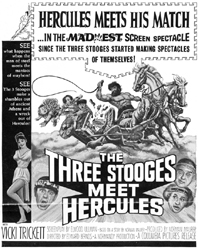 The illustrations below are from the pressbook for the film. 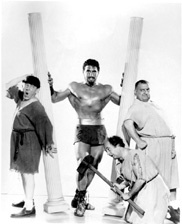 Below are a series of Hercules film "stills"